Well… yesterday was a milestone for my blog! It was my 400th post! Woo Hoo! I was unable to use a computer to post it, and did not even realize it until this morning. I have really enjoyed writing all of these posts. I know some of you enjoy reading them too, which is awesome and so appreciated! Thank you to my readers! I am just writing from my heart, most of the time, and feel like it’s something I want to share with the world. It’s a gift. This week, besides this milestone in my blog posts, I’ve had three blessings that were answers to prayer. A month or so ago, my oldest son borrowed a friend’s keyboard and started teaching himself how to play. I asked my friends on Facebook if anyone knew of a piano that might be something I could save towards. I did not have any money when I posted it. A lady we know wrote and said they had one, but she needed to talk to her husband first. Then, that night she said we could have it! I was floored! It was his mom’s, and it was just sitting in a shop. No one in their family wanted it. Even though he is just now learning to play, my son writes song lyrics. He has a gift. He wants people to know that God loves them. So this is a ministry tool for him. Talk about answered prayer!? God is so good to us. That’s how God works sometimes. He uses people to answer prayer and bless us! Pay attention to the Holy Spirit speaking to you. 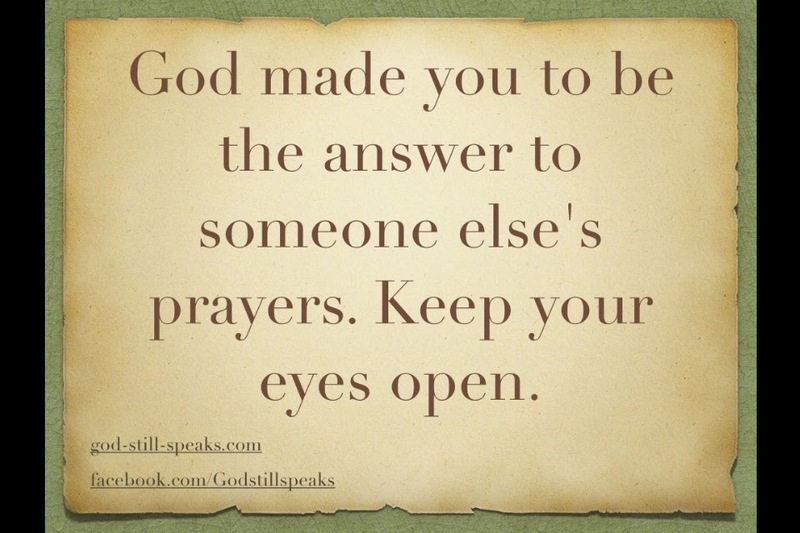 Because you honestly might be answering a prayer of someone’s by God’s leading. Two other really awesome blessings happened this week too, and were just nothing but answers to prayer. It’s been my experience that God will answer, “No”, “Yes”, or “Not right now”. He does love us so so much. He knows our future and how our lives will turn out. Sometimes those “No’s” hurt, but end up being a blessing after all. What happened in your life this week that was a blessing or an answer to prayer? ← Is Jesus At The Center of You?